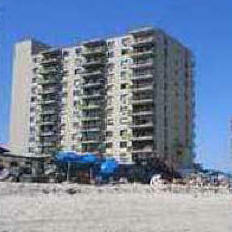 Monmouth Beach High Rise homes For Sale at The Shores, The Admiralty and Channel Club Tower. Call 732-598-7700 to see the Monmouth Beach High Rise homes For Sale in The Admiralty, The Shores and Channel Club Tower. Monmouth Beach occupies 1 square mile, in an area bordered by the Shrewsbury River to the west and the Atlantic Ocean on the east. There are three high rise buildings. And two of the high rise buildings, The Admiralty and The Shores, are ocean front building while the third, Channel Club Tower is located on the Shrewsbury River. Enjoy the views of the Atlantic Ocean and the New York City skyline from The Admiralty – an oceanfront luxury high rise building in Monmouth Beach. This 14 story building has 162 condos. The homes in The Admiralty have either one, two or three bedrooms. Amenities available in The Admiralty include 24 hour concierge, saunas, fitness center, a jacuzzi, underground parking and tennis! Plus you can walk to the beach and pool. Enjoy the gorgeous views of the ocean and the New York City skyline from The Shores. There are 154 condos in this ocean front luxury high rise, which was built in 1978. The homes in The Shores have either one or two bedrooms. Each of the homes in The Shores offers ocean views. Amenities in The Shores include indoor and outdoor pools, valet service, 24 hour security, beach access, a lobby café, a fitness center and much, much more. Underground parking is available. Pets are not permitted at The Shores. 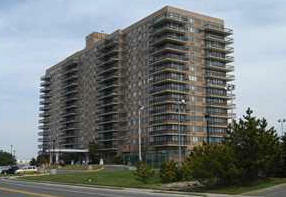 Enjoy a luxury life style in this riverfront high rise building in this 14 story Monmouth Beach high rise building. 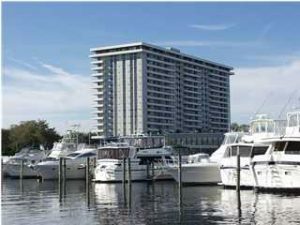 Located on the Shrewsbury River, Built in the 1970’s, the homes in the Channel Club Tower have either one,two or three bedrooms. All of the homes have river views, and some of the homes also have ocean views. Residents have use of the pool, tennis courts and the health club, in addition to valet parking and more. Monmouth Beach is an excellent location for commuters because of the proximity to NJ Transit trains, buses and the ferry to New York. Additionally, boating enthusiasts will find that boat slips are available. Students in grades Kindergarten through eighth will attend Monmouth Beach School. When they reach high school, students will attend Shore Regional High School. This regional high school serves students Monmouth Beach, and also from Sea Bright, Oceanport and West Long Branch. Also, students may also attend the Monmouth County Vocational School District. In addition, private schools are nearby.